The UCW Radio Host Louis Velazquez had the opportunity and honor to have the great actor Phil Morris on the show. Phil Morris is what most people should aspire to be in life, he has tirelessly worked towards perfecting his craft all the while seizes as many opportunities as he could along the way. 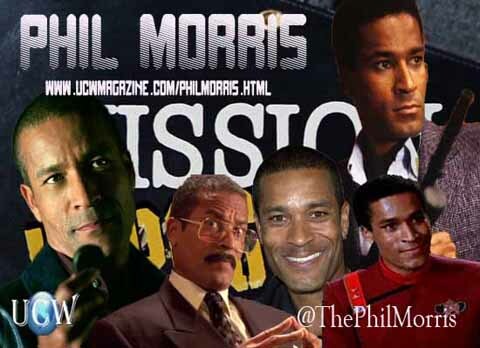 He has stared in countless films and television series’ and he is still going strong by following the same path that has brought him success, which is hard word, a respect for not only the entertainment business and the art of performing but also for himself by aligning himself with projects with meaning, and its not all about the money with Phil Morris, its about being a part of something greater than himself. He is a man of high integrity and being a Hollywood mainstay has not jaded himself in the least. Although he was around many major television and film stars growing up due to his father, Greg Morris, and his role on Mission Impossible, the original series. Ironically Phil had the unique opportunity to revive that role in Mission Impossible in 1988. He has accomplished so many things during his career its staggering. He has studied Martial Arts for well over 25 years and continues to do so to this day, being a high ranking practitioner in the art of Wing Chun. He is truly a great person, not only for his accomplishments but for his view of the world and his actions, which speak so much louder than his words. Morris played a recurring character, the Johnnie Cochran-inspired defense attorney Jackie Chiles, on Seinfeld. 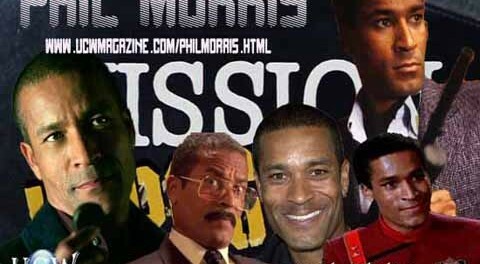 Morris also co-starred in the remake of Mission: Impossible as tech wizard Grant Collier (son of Barney Collier, who was played in the original series by Morris’ real-life father Greg Morris). Morris’ first acting role was as a child when he appeared in the 1966 Star Trek episode “Miri”. Star Trek was, at the time, shot at the same studio that produced Mission: Impossible, where his father was working. He made his feature film debut in Star Trek III: The Search for Spock in a small role and later guest-starred on Star Trek: Deep Space Nine and Star Trek: Voyager. Morris voiced the supporting role of Dr. Sweet in Disney’s 2001 film Atlantis: The Lost Empire as well as its 2003 sequel, Atlantis: Milo’s Return. Morris played one of Will Smith’s college professors on the NBC show The Fresh Prince of Bel-Air, and played Dr. Clay Spencer on the then-UPN television show Girlfriends. In the January 25, 2007, episode of the CW television series Smallville, Morris also portrayed the DC Comics superhero The Martian Manhunter/John Jones, which is a recurring but small character in the series so far. He reprised that role on the show’s sixth season finale on May 17, 2007, as well as the episodes “Bizarro” and “Cure” in the seventh season and the episodes “Odyssey”, “Prey” and “Bulletproof” in the eighth season. As a voice actor, he portrayed the villains Imperiex on Legion of Superheroes, and as the Immortal Caveman Vandal Savage on Justice League and Justice League Unlimited. He appeared on one episode each of the series CSI: Miami and Seven Days. Though largely unnoticed, Morris also was the voice of Paul the Apostle in Zondervan’s The Bible Experience. Morris also made a cameo appearance as the late Miles Dyson in photographs in the television series Terminator: The Sarah Connor Chronicles. He currently voices the character ‘Doc Saturday’ in the animated show The Secret Saturdays. He also played a major supporting role in the PS2 game Ratchet: Deadlocked, Merc, one of the combat bots that accompany Ratchet during his journey.